November is here! In between prepping for the arrival of your relatives for Thanksgiving dinner and switching out your holiday decorations, be sure to make some time for yourself - and one of these great events happening this month in wine country! It's known for being Northern Sonoma County's premiere event - and it's easy to see why! 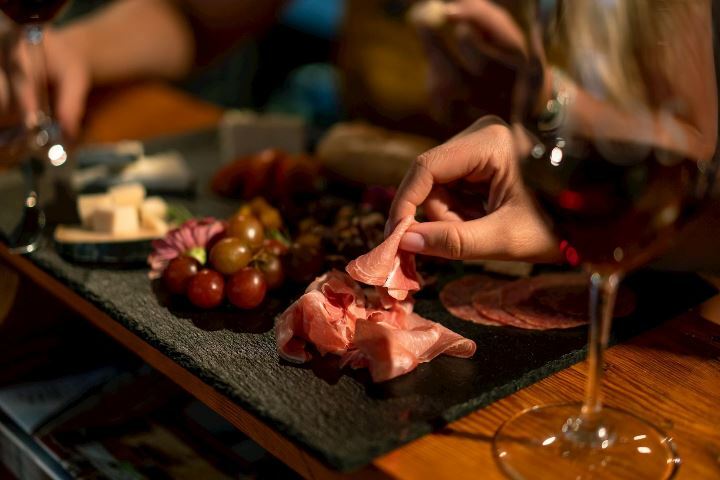 Almost 100 wineries participate, offering a food and wine pairing for guests as they travel from one property to the next in the all-day event. After a long and bountiful harvest, it's time to celebrate! Foley Food & Wine Society will be holding their annual harvest celebration, showcasing their vast portfolio of wines spanning the greatest wine regions of California, Oregon, and Washington. Great wines, festive fall bites, and fun entertainment - what else can you ask for? Honor our nation's heros on Veteran's Day with the renowned Veteran's Day Parade and Fly Over in Petaluma. This event is the largest Veteran's Day parade north of the Golden Gate and attracts guests from all over (most recently, an estimated crowd of 40,000!) for the special commemoration. Huey helicopters, tanks, and more than 100 entires fill the parade with plenty of pomp and circumstance. Eos continues to flex their culinary muscle with their third installment of the Eos Supper Club. Featuring a three-course prix fixe meal prepared by Estate Chef Danelle Jarzynski, guests will also indulge in Eos wine pairings to complement the meal. With limited seats, this event is a treat that will delight foodies and wine lovers alike. Foley Sonoma is inviting you to come meet their new winemaker, Chalo Fernandez! Chalo, who has been a part of the team at Foley Sonoma since 2016, moved into the head winemaker role recently and is excited to meet and mingle with guests while releasing the highly-anticipated 2016 Blanc De Noir. Over 100 vendors from Monterey, Santa Cruz, and San Benito gather to showcase their handmade crafts and artwork, just in time for the holiday season! Vendors are selected through a panel process to ensure that the marketplace is one of the most high-quality, diverse, and exclusive that guests have ever seen. The city of Napa marks the start of the season with its annual Lighting of the Christmas Tree at Veterans Park on Main Street in downtown Napa. Free cookies and hot chocolate will be provided for all, along with entertainment and great company! The Meritage Resort & Spa is inviting you to their Thanksgiving table! If you'll be away from family or just don't feel like spending hours over the stove, join them for a feast you won't soon forget. Seasonal favorites including roasted turkey and honey glazed ham will be served, with California wine country salads, decadent desserts, and so much more also available.